A Walt Disney World Vacation is a magical experience. In order to make the most of each visit, you want to make sure that you avoid some of the pitfalls that can consume your valuable vacation time. Instead follow these Top 6 Time Saving Tips and experience more attractions and have more time to relax instead of waiting in lines. 6. If you have a car drive yourself to all parks except the Magic Kingdom – Although the free Disney World Transportation is wonderful, it can be slow at times. If you are lucky enough to have a car, you can save time by driving yourself from your resort on days that you visit Epcot, Disney’s Hollywood Studios, or Disney’s Animal Kingdom. If you are visiting the Magic Kingdom, the fastest way to get from your Disney World Resort Hotel to the Magic Kingdom is to take the Disney transportation. This is because the Disney transportation delivers you right to the gate of the Magic Kingdom, where the parking lot is for the Ticket & Transportation Center and you still have to catch either a ferry or monorail to get to the front gate. 5. Make Dining Reservations ahead of time (up to 180 days) – Don’t get caught waiting in long lines or be forced to eat at your 3rd or 4th choice of restaurant during your vacation. Make reservations ahead of time at your desired restaurants with Disney’s easy on-line Dining Reservation system. This will reduce wait time and prevent you wasting time searching for a restaurant that has available space for your hungry family. 4. Visit The Park That Had Extra Magic Hours LAST NIGHT – One useful trick is to find out which park had Extra Magic Hours the night before and head to that park for opening the next morning. Rarely do the crowds that flock to evening Extra magic Hours return to the same park the next morning. This results in smaller initial crowds and shorter lines, making it easier for your family to enjoy the most popular rides and attractions. 3. 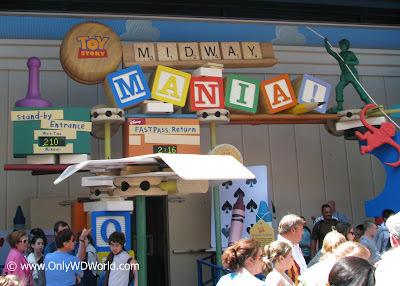 Use a Touring Plan – Whether you use a Touring Plan from a website like http://www.touringplans.com/ (recommended) or you devise your own, it is a very good idea to have a plan for each day you are visiting the Disney World Theme Parks (Here are some FREE example Touring Plans from Only WDWorld: Disney's Hollywood Studios Touring Plan, Epcot Touring Plan, Disney's Animal Kingdom Touring Plan.) The touring plan will help guide you to the most popular rides and attractions in a manner that is most efficient and will reduce the time you spend waiting in lines. 2. 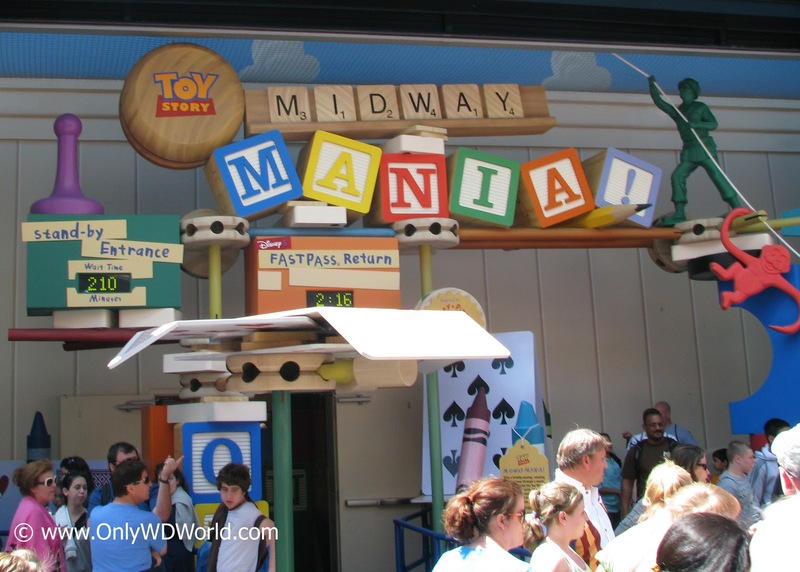 Use Disney’s FastPass System – The FastPass system is totally FREE and is a necessary part of any touring plan or strategy to avoid spending your day stuck waiting in long lines. Disney World’s most popular attractions all have kiosks whether you insert your park entrance ticket and receive a special FastPass that entitles you to return to a special short line for that attraction at a specific time later in the day. 1. Arrive At Park Opening – The single most important strategy for minimizing wait times at Disney World includes arriving at Park Opening. Each day the first two hours are the least crowded and the time when you can get the most done. Even if that means that you leave the park in the early afternoon to go back to your resort to take a nap, you need to make every effort to arrive at park opening. All Disney World tickets include free re-entry to the same park later in the day. Less Waiting = Less Stress! Take advantage of the Disney World Vacation Top 6 Time Saving Tips and you will be able to successfully reduce your time spent in lines and increase your time enjoying the magical Disney World rides and attractions. You will also be amazed at how much your stress level will go down, when you avoid standing in the long lines. 1 comments to "Disney World Vacation Top 6 Time Saving Tips"